New Improved Formula!!! This soap contains a powerful germicide that has been used for many years to combat the spread disease and in preventing wounds from becoming septic. Miracle soap is suitable in treating many infectious skin diseases. Benas Bathing Soap contains a powerful germicide which has been used for years to combat the spread of disease and in preventing wounds from becoming septic. To achieve complete protection and to keep that healthy fresh appearance, it is important to wash regularly with Benas Bathing Soap. 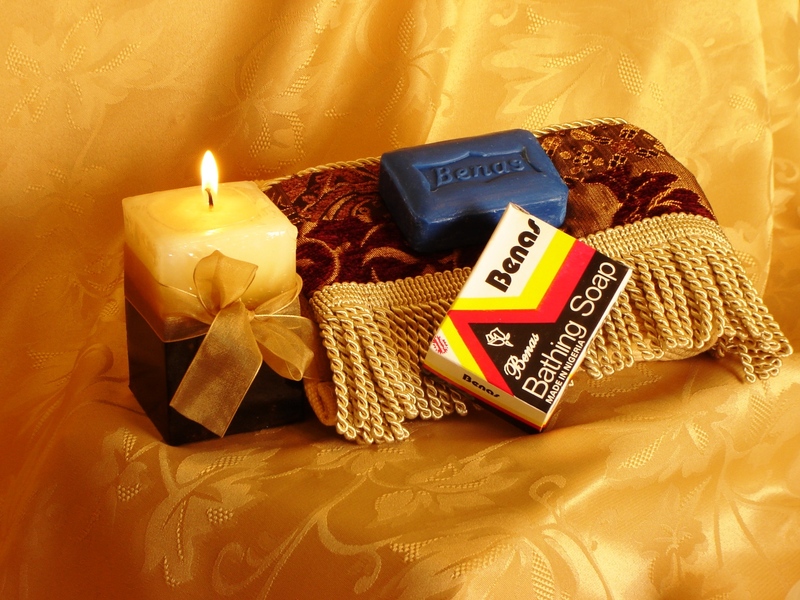 Benas Bathing Soap is suitable in treating many infectious skin diseases. Benas as a deodorant: By removing bacteria that cause social affliction. Benas removes unsightly pimples and spots: From the face and body. Wash the affected area daily. Allow the lather to stay on the skin, then rinse off. Repeat until the skin is clear and smooth. Benas treats prickly heat: First wash the affected parts, allow the lather to remain on the skin and rinse off thoroughly. Then dust on your favorite talcum powder. Benas removes dandruff, scurf and other parasites: From the head, shampoo the hair by lathering vigorously, allow to remain on the head several minutes and then rinse off. By shampooing at least once a week, the head can be kept clean and free from irritation. Benas prevents cuts and scratches from becoming septic: By bathing immediately with a solution of Benas Bathing Soap in warm water, infections are stopped. Benas as antiseptic: Through the home, wash bed line and clothes from sickroom with Benas Bathing Soap and prevent sickness from spreading. Oh my God! I used this soap when I was in high school, and it saved my life! My daughter has acne, and nothing worked. Finally, found this soap after years of searching. She’s been using it for a month, and her skin is clear!!!!!!!!!!!!!!!!!!! This soap is excellent for different types of skin problems. It is hard to find, so I was thrilled to find it on the Shades of Africa website. This product is great. Benas leaves your skin clean and refreshed. I've had problems with acne and hyperpigmentation. Benas has helped to clear my skin of acne and acne scars. I would recommend Benas to everyone to use as a daily cleansing regimen. Benas bathing soap is a great product. I feel very clean and refreshed afterwards and it also aids in treating a skin disorder I have; works very effectively for me . The smell is different but, it doesn't take away from the benefits. This is a great soap to clean your body and most of all your face. Nubian Heritage "Honey & Black Seed Soap with Apricot Oil"
Nubian Heritage "Ivorian Cocoa Butter Soap with Milk Chocolate & Hazelnut Oil"
Nubian Heritage "Peppermint & Aloe Soap w/Crushed Almonds & Baking Soda"
Gye Nyame "Black Seed Soap Coconut-Lime-Verbena"